So, can you tell us what makes William D. Dickerson tick? What got you started on the path to becoming an author? I’m always thinking about stories and when I read, I think about how I would have done it if the story had been mine. I really got started as a writer, though, because of National Novel Writing Month. I never thought of myself as a novelist because the length was so daunting, but after my first failed attempt at NaNo, I realized that I could write in a longer format. I just released my second book, Young Mutants in Love. I’ll be starting my next project in November, but I’m still figuring out what that is going to be. Here’s the first half of Chapter 1 of Young Mutants in Love for you to check out. It was a perfect night for star gazing. It was cold, which wasn't unusual for an evening in early February, and the skies were clear. Cacy, bundled in two sweaters and her heaviest coat, was participating in a class she didn't like for credits she didn't feel that she needed, but the registrar's office had informed her that if she wanted to graduate, she would have to take the class. It was Astronomy 101 and because of the school’s policy, she was the oldest person in the class. As a graduate student in Physics, she wasn't interested in the stars per se, but the school had a requirement that all students had to take an Astronomy class. It wasn't the worst thing possible. At least the 101 class was easy. Cacy just had to show up to check out the stars when the weather was nice. Unfortunately, the best nights were also the coldest. She just had to put up with her 'lab partner,' Gavin. He was the TA for the class, and since there were an odd number of students, and she was the oldest student in the class, she was partnered with him. Gavin wasn't an impressive specimen. He stood just a few inches above her five foot five inches. His red hair was always badly cut and frazzled. He wore the thickest pair of glasses she'd ever seen, but he was a nice guy even though he was terribly awkward. Tonight he was just wearing a black school jacket that was a couple of sizes too small. The class had come to an old field at the end of an abandoned road. Professor Harrington had chosen it because there was only one old tree so there was a clear view of the stars especially on a cold night like this. Each team was given a blanket because the ground was muddy from the recent thaw and a star chart and a small flash light. Each couple was also given a constellation to find in the night sky. Cacy and Gavin had been assigned several because he was the TA and had an unfair advantage, as Professor Harrington insisted. It wasn't too complicated since Cacy had studied the heavenly bodies growing up. Her father had always tried to show her the stars when they went on their annual camping trip. "Now that you have your constellations," Professor Harrington started, "I want you and your partner to find a patch of ground and lie down and look at the heavens. Take off your gloves and hold hands while you search for your constellations, and enjoy the moment." Cacy was reluctant, but she took off her glove and the mitten from her right hand and grabbed Gavin's gloveless hand as instructed. She looked at his other hand which was also gloveless as he pointed at the belt of Orion. "There it is," Gavin announced, "Orion, the warrior of the heavens." "Oh really?" Cacy asked with interest. "Yes,” Gavin continued, “according to legend, Orion was the greatest hero of his age. He was placed in the heavens as a testament to his courage and strength." "Is any of that real?" Cacy wondered. "Who knows what happened in the world all those ages ago," Gavin replied. "We just have stories to give us hints about the past." "How did you learn about all of this?" "It's a part of Astronomy," Gavin explained. "The constellations are all tied to the stories. There are stories from almost every culture in the world." Cacy was going to comment, maybe say that it was interesting, see where the conversation went from there, but three things happened at that moment. First she saw a streak of light pass by the middle star of Orion's belt. Next, there was a spark that shocked both her and Gavin. Finally after several seconds, she passed out while screaming. All of my characters have something of myself in them, but their experiences are not tied to any of my own. For example, in Cherry Wood, one of the main characters, Patri, loves cold spaghetti for breakfast, and so do I, but I’ve never had to run for my life. I don’t have a specific genre. I like to work with the story that is on my mind the most at the moment. On top of a romantic thriller, and super hero action story, I also have a short story about a vampire hunter appearing in Winds of Change, a collection of short stories to raise funds for the victims of the Oklahoma Tornado. When I write, I like to have specific goals for that session. I consider what I’ve written so far and then plan the next step in my story. What has to happen to develop the characters and move the plot forward? Ideas are everywhere. For me, the biggest problem is remembering them, so I try to have a way to record the ideas when I get them. 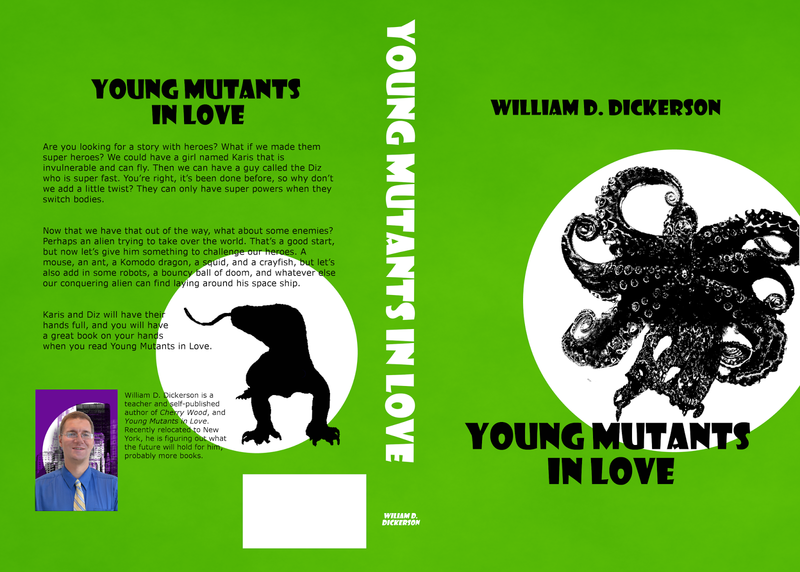 Young Mutants in Love was just a title idea that I had, and when I thought of it, I knew that I had to write that story. It was just a matter of brainstorming the idea with a good friend. She is usually my idea sounding board. When it comes to writing, I find it helpful to share my ideas with others. Sometimes, when you share the ideas with people you trust, you can get helpful feedback and ideas of what you might do with your idea. There is a book idea that I have called Mr. Brenner’s birthday. It’s about a girl trying to throw a surprise birthday party for her teacher. That idea popped into my head while I was waiting for the light to change so I could cross the street. I love Isaac Asimov’s ability to create a believable future. I’ll only share one more, but I could go on forever. C. S. Lewis taught me that any kind of story can have fantastical elements in it. As someone who works with kids as a teacher, it’s hard for me to be in public and hear parents yelling at their kids. I love walking, especially if it’s just to clear my head. I also love reading a good book. Cooking/baking is also a huge favorite. Thank you so much for joining me here today, William. I know my followers will enjoy this spotlight as much as I have conducting it. Good luck on all your future endeavors. William D. Dickerson started his life in a small town in northern Pennsylvania and was removed to Upstate New York shortly after that. He is often quick with a quote or a bit of snappy banter, but there is more beneath the surface. William is a teacher and a writer. His writing interests are diverse. 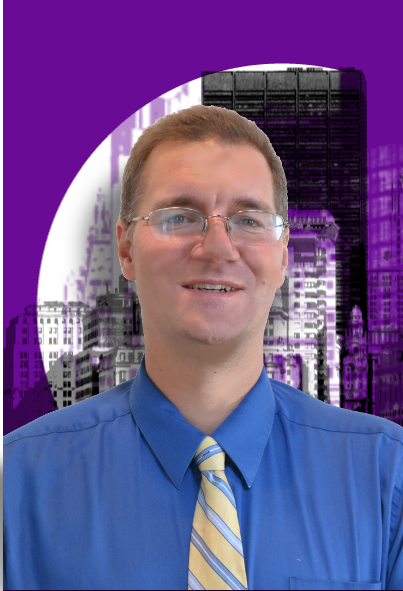 He has self published Cherry Wood, a romantic thriller and his second book, Young Mutants in Love, an action/adventure story filled with aliens, monster, robots, and more. When he isn't writing or teaching, William can be found walking until his bus arrives since he is too lazy to sit around waiting, or reading other books to see how the authors do it. He might also be found enjoying playing with his niece and nephew when he can find the time. William also has more ideas then he can keep track of at this point, but he has a growing list for future reference even if they never get written. That is a good problem to have, but it can be a hassle at times.